Franklin's remarkable career, which spans soul, R&B, gospel, pop and even opera, was filled with impressive feats and groundbreaking firsts. Aretha Franklin, the trailblazing singer known as the “Queen of Soul” for a string of hits including “Respect” and “(You Make Me Feel Like) A Natural Woman,” died Thursday morning from pancreatic cancer at her home in Detroit. She was 76. “She isn’t just one of the best singers in popular music, she’s one of the best singers, period,” said rock historian James Henke, the Rock and Roll Hall of Fame and Museum’s former vice president of curatorial affairs. With every word, she left an indelible impact on other female artists, on generations of women and African-Americans, and on our nation. In fact, all her success and all her awards were hard to fathom — until you heard her sing. Franklin’s voice wasn’t just powerful and expressive, but also nimble, with a wide range — a once-in-a-lifetime combination of talent and technique. She was born Aretha Louise Franklin on March 25, 1942, in Memphis to the Rev. C.L. Franklin and gospel singer Barbara Siggers Franklin, who died when her daughter was 10 years old. Music was always a part of Aretha Franklin’s life, starting from the days when she would sing at the Detroit church of her father, then pastor of the New Bethel Baptist Church and a friend of the Rev. Martin Luther King Jr. Franklin was only 14 when she released her first album, “The Gospel Sound of Aretha Franklin,” shortly after she gave birth to her son, Clarence. After she gave birth to her son, Edward, when she was 16, she began touring with her father regularly. The "Queen of Soul" died Thursday, Aug. 16, of advanced pancreatic cancer, her representative said. Her career also took on a life of its own. Though her commercial peak was certainly in the late 1960s and early ‘70s, when singles such as “Chain of Fools,” “Think” and “Spanish Harlem” were fixtures at the top of the charts, Franklin would remind people of her pop powers often. 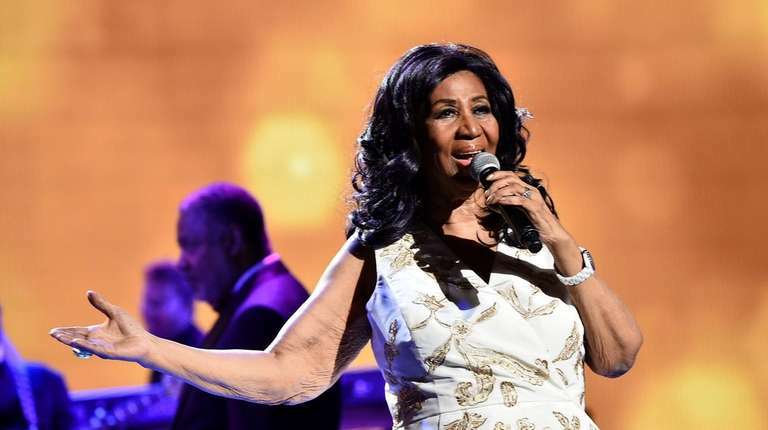 In the late ‘70s, as she steered clear of disco music that didn’t interest her and dealing with the shooting of her father that left him in a coma, Franklin’s career stalled, though it was coaxed back to life with help from Luther Vandross. In 1998, she stunned the world by filling in for an ill Luciano Pavarotti at the Grammys by singing “Nessun Dorma” as a tribute to Pavarotti with only 20 minutes notice and handling the challenging Puccini aria flawlessly. However, in Franklin’s world, everyone was also treated with respect, as she addressed everyone as “Mister” and “Miss,” resulting in her being addressed as “Miss Franklin” herself. Not that many would consider disrespecting the “Queen of Soul” in any case, especially as she collected honorary degrees from Harvard, Princeton and Yale universities and the Berklee College of Music. Anyone who would dare try, need only watch her “Divas” performance in 1998, where she dominated an all-star version of “(You Make Me Feel Like) A Natural Woman,” featuring the biggest stars of the day, including Mariah Carey, Celine Dion, Shania Twain, Gloria Estefan and Carole King. When she performed that song as the Kennedy Center honored King in 2015, she brought the house down as she dropped her fur coat to the floor and then brought many, including Obama, to tears with her powerful voice. In recent years, either by accident or by design, Franklin’s cellphone had no message — only the sound of her clearing her throat. It’s a tribute to her impressive, distinctive voice that even that sound is identifiable as hers and will never be duplicated. Editorial: She sought Respect way before #MeTooWith every word, she left an indelible impact on other female artists, on generations of women and African-Americans, and on our nation. Opinion: A voice that endured for decadesGreat singers are born, not created, and Aretha Franklin's rich, soaring and soulful voice was ... Aretha on LI in '91: 'Revisiting her soul hits'This is what Newsday rock critic Wayne Robins said about the "Queen of Soul's" show at the Westbury Music Fair on June 24, 1991.